Make a funny milky-monster robot! 1 servo clip designed for Milky Monster, download at thingiverse (optional). 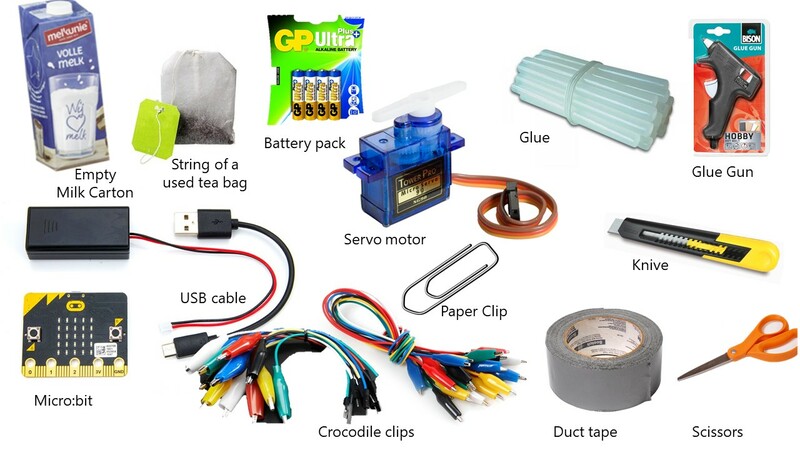 Teachers may prefer to download the classroom pack (16 servo clips). Download and 3D-print the servo clip designed for Milky Monster from thingiverse (this is optional). Teachers may prefer to download the classroom pack (16 servo clips). This project was contributed by Peter Heldens @peterheldens. You can checkout his micro:bit makershow channel on youtube for more projects.